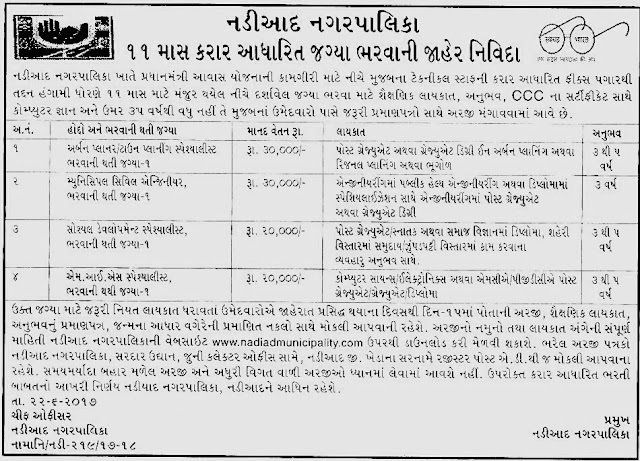 Nadiad Nagarpalika Recruitment 2017 | Various Posts : Nadiad Nagarpalika has published recruitment notifications for below mentioned Posts 2017. More information please read below mention details carefully. Urban Planner/ Town Planning Specialist | Salary: Rs. 30000/- per month. 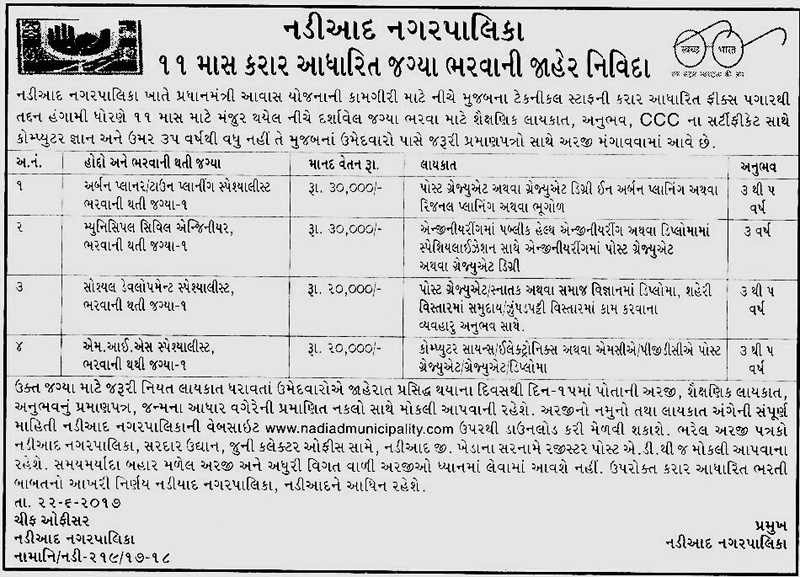 • Municipal Civil Engineer Salary: Rs. 30000/- per month. • Social Development Specialist | Salary: Rs. 20000/- per month. • M.I.S. Specialist |Salary: Rs. 20000/- per month. 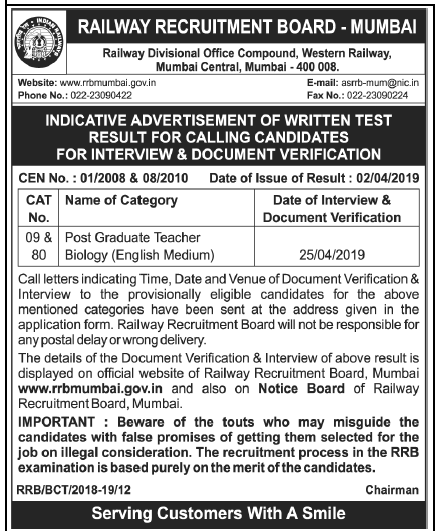 Last Date: Within 10 days from the date of Advt Published | Advt. Published Date: 24-06-2017.